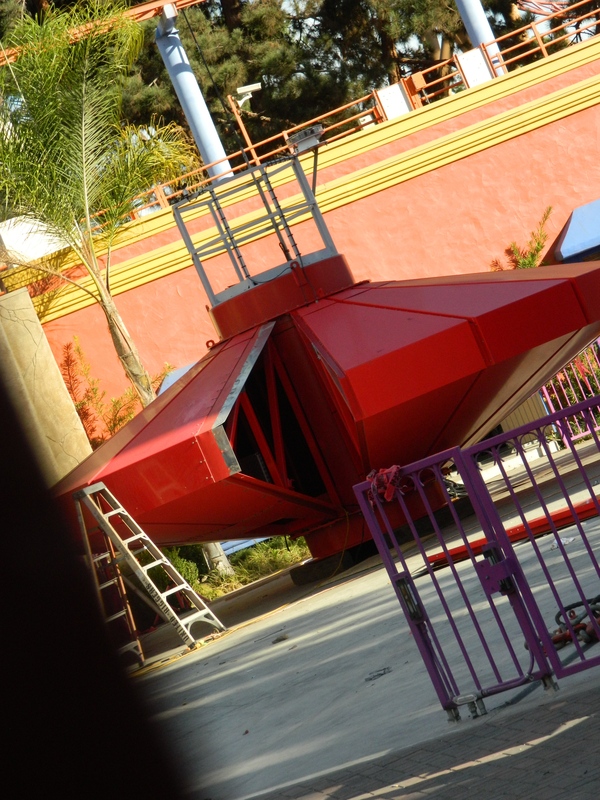 Knott’s Berry Farm announced plans in 2010 to remove the classic Sky Cabin observation tower and drop in a new thrill ride in its place. 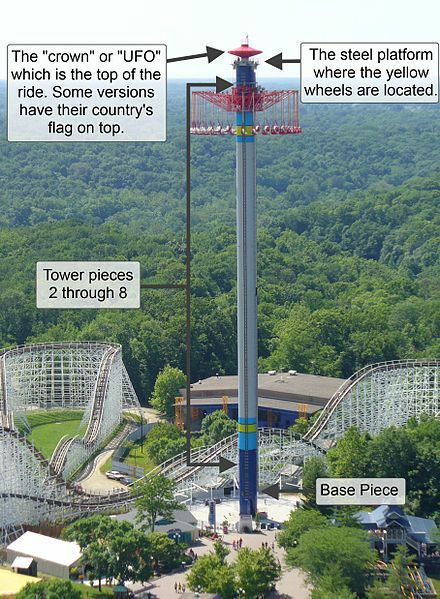 The ride called Windseeker, is a 301 foot swing ride built by Mondial, and has been built at many other Cedar Fair parks. Thankfully Knott’s changed their mind and refurbished the Sky Cabin. 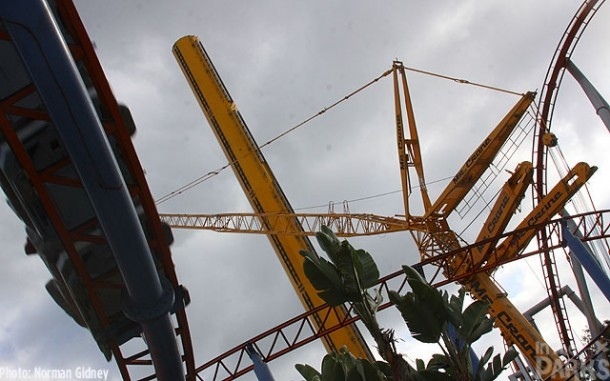 They built Wind seeker on the site of an old restaurant in the Fiesta Village section of the park. 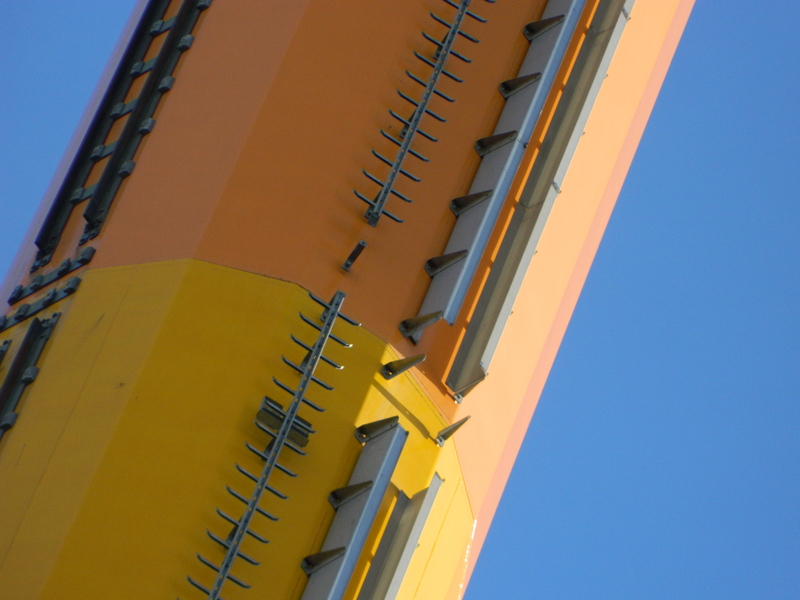 The tower had a different paint scheme. 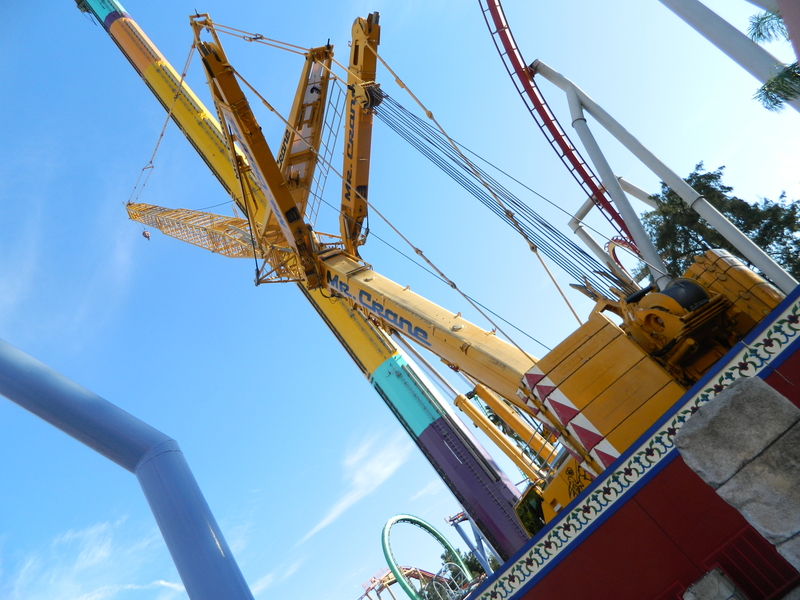 Windseeker was set to open in the spring of 2011, but was delayed and opened in August 2011. The ride stranded guests in the air for hours on September 19, 2012 and that turned out to be the rides last day of operation. All other Windseeker rides closed as a precaution. Mondial designed an emergency basket to take four guest down at a time, but that wasn’t enough for it reopen. 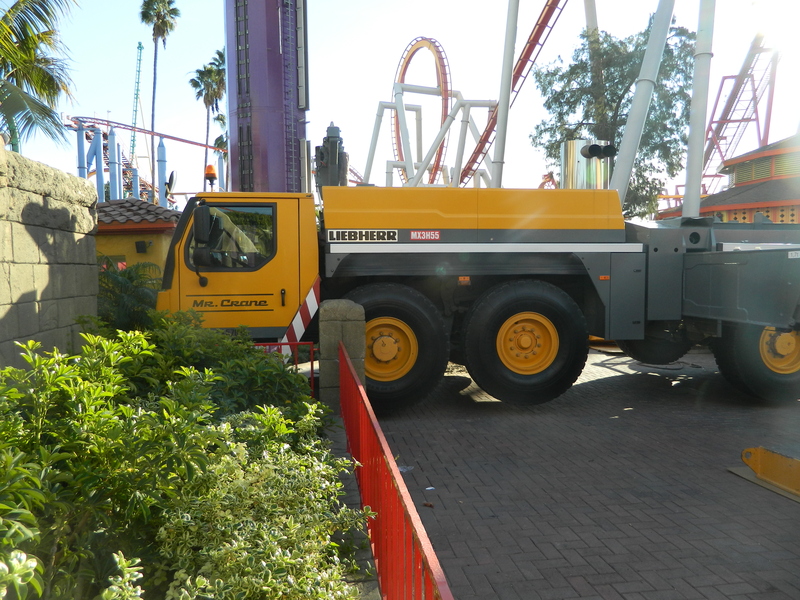 California has very strict safety standards and Knott’s would have to build a cage around the external lader. That would require the park to completely redesign the base where the seats are attached and that would cost a lot. 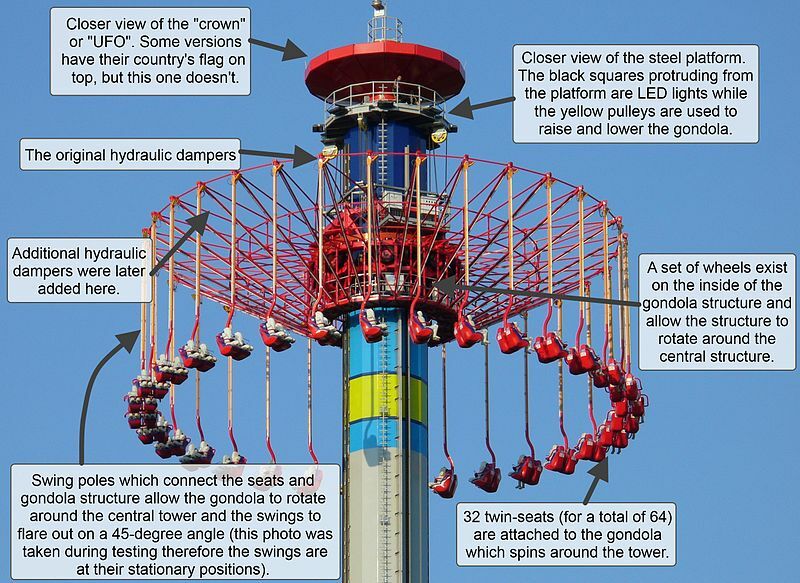 Worlds of Fun, another Cedar Fair park, announced they were getting Knott’s Windseeker in 2014 but will rename it Steel Hawk to avoid bad press with the Windseeker name. 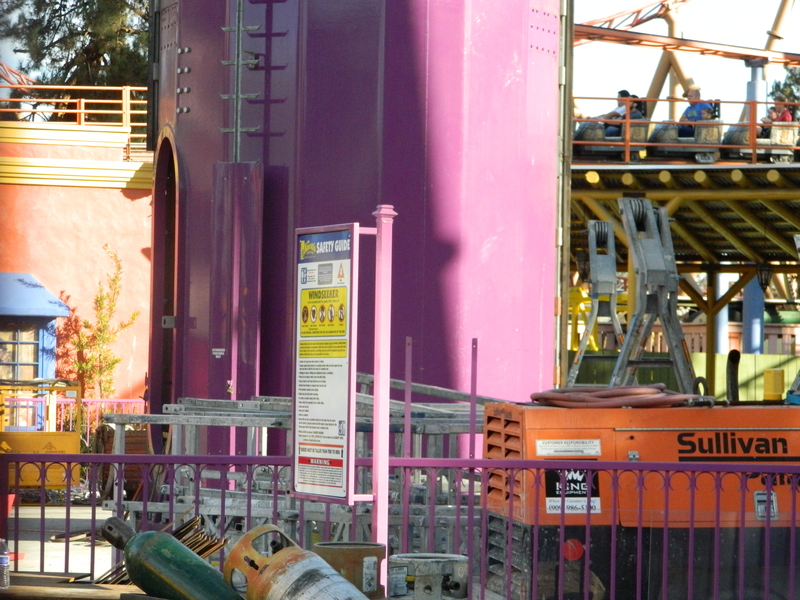 The ride’s massive tower would be repainted to match the other Windseekers. 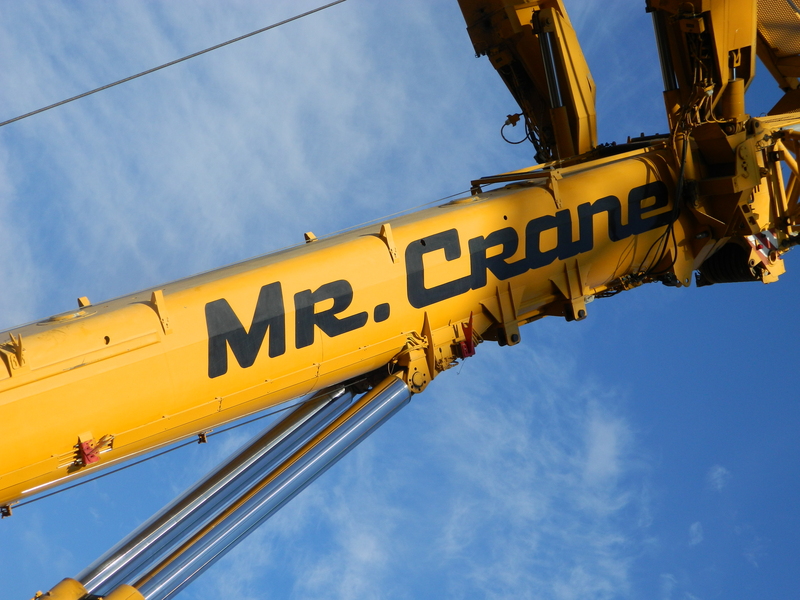 This week the first part of the tower, the UFO or topper, was removed. Cables and wires where the towers eight sections will come apart have also been removed. 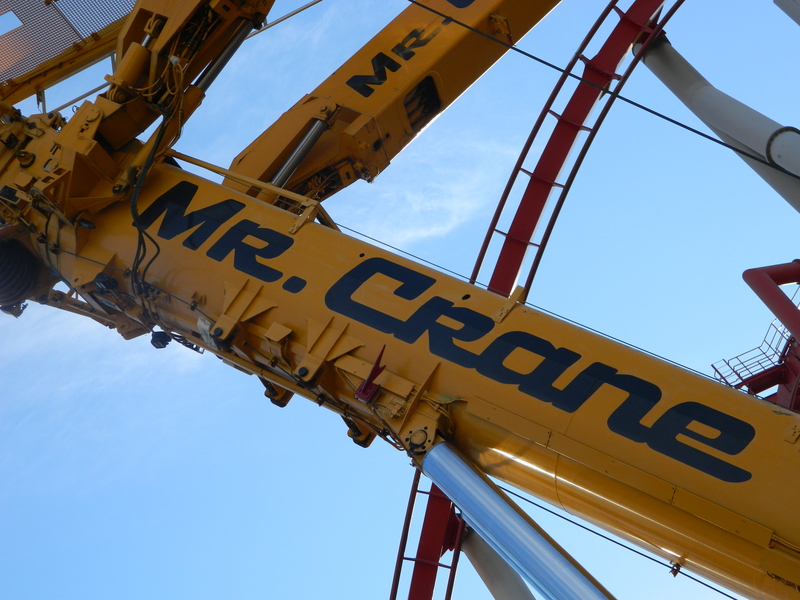 At this time Knott’s Berry Farm has yet to announce a replacement for Windseeker. As of Tuesday the 3rd, the top two sections of the tower have been removed. Please follow Kolby Konnection on Facebook, Twitter, and on Youtube for theme park videos. 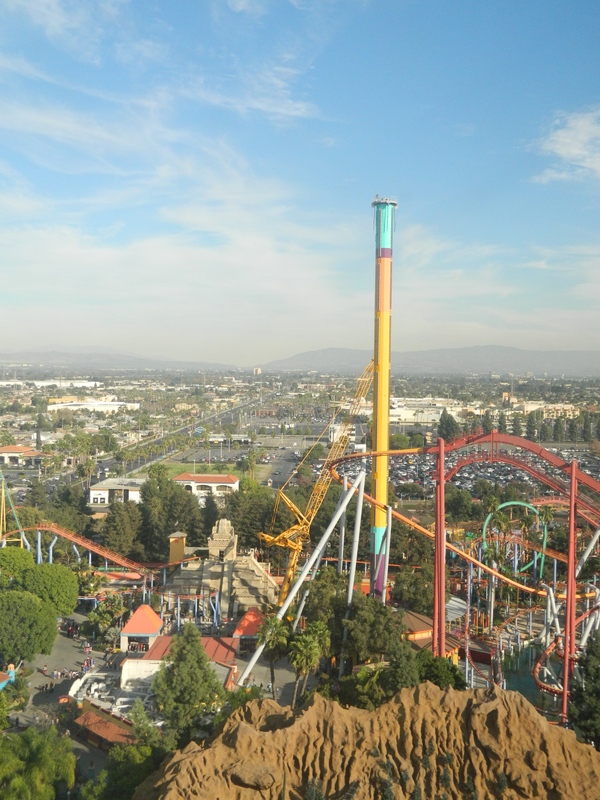 Did you ever take a ride on Windseeker at Knott’s Berrry Farm?